Fall Flower Gala Arrangement in Charleston, SC - CHARLESTON FLORIST INC.
Let the inspiring views and hues of autumn bring you warm feelings of friends, family and fall festivities. Send an awesome autumn arrangement to someone you know and love. 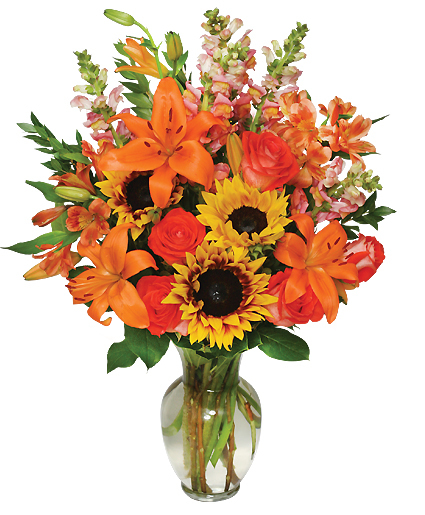 Call CHARLESTON FLORIST INC. or order fall flowers online anytime!